Greece has achieved a decade-long record of visitor figures from Belgium, growing arrivals from the country to over 530,000 for 2018, the Greek Tourism Ministry said on Friday. The announcement came as Greece is taking part in the Salon des Vacances Brussels exhibition, running February 7-10, in a 200 square meter stand and including a number of Greek regions as coexhibitors. Citing data from the two largest airports in Belgium, the ministry underlined that Greece is the second most popular destination for Belgians traveling by air for their summer holidays. 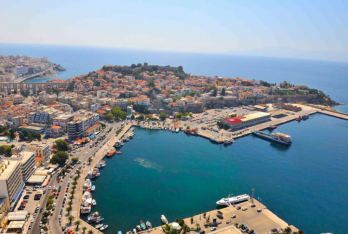 Referring to the total of tourists to Greece from all three Benelux countries (Belgium, the Netherlands, Luxembourg), the ministry referred to a “spectacular” increase in 2018, as arrivals grew by 20 percent to over 1.5 million visitors. Greek Tourism Minister Elena Kountoura at the Greek stand with the GNTO team in Brussels. 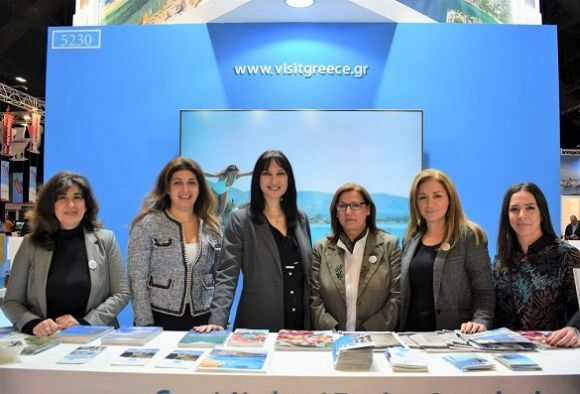 Aiming to boost Greece’s popularity even more in 2019, Greek Tourism Elena Kountoura attended the Salon des Vacances exhibition with a series of meetings on her agenda. The minister met with top representatives from the Association of Belgian Tour Operators (ABTO), BT Tours, Sunweb Travel Group, Exclusive Destinations, Thomas Cook Belgium, TUIfly and Essential Greece. 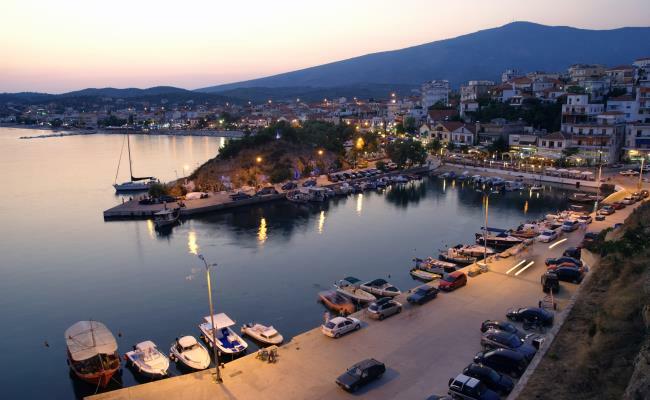 During the exhibition, as part of the ministry’s strategy to promote lesser known Greek destinations, Thassos (part of the Kavala regional unit) was presented as the honored Greek destination at the Greek stand. 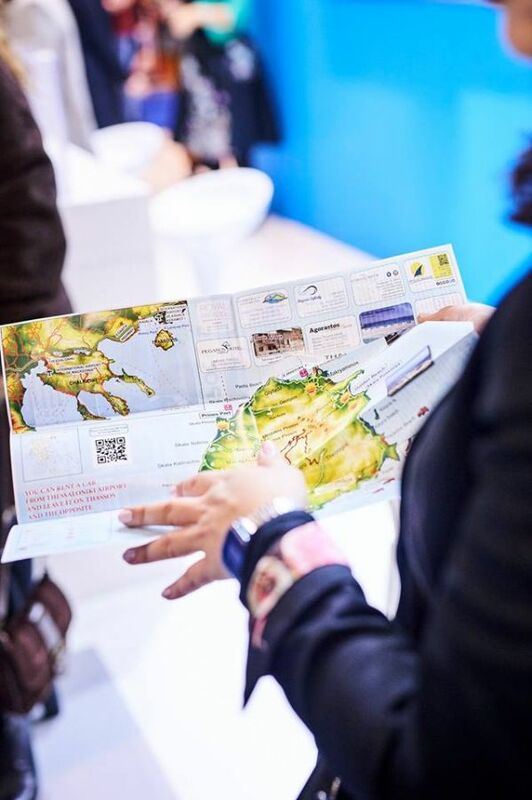 The island’s tourist products were presented as well as the Brussels-Kavala flight by TUIfly, which aims to welcome more visitors to Thassos. 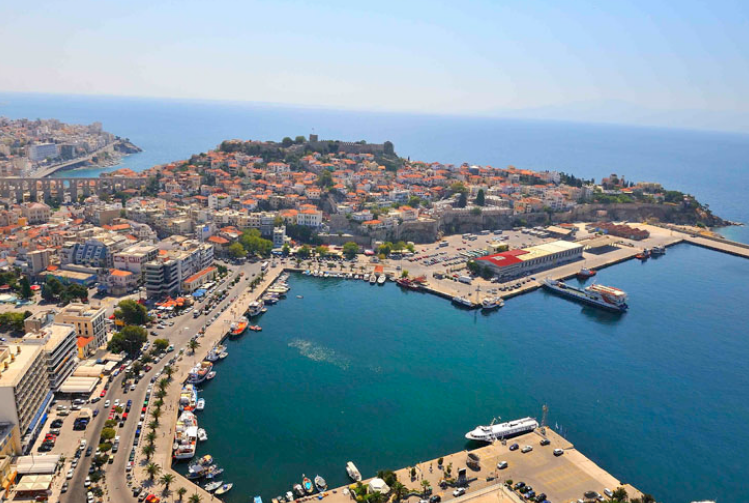 Thessaloniki also received special promotion during the exhibition, with the Region of Central Macedonia presenting the northern Greek city as a top city-break destination and referring to its easy access for Belgian travelers through the direct flight from Brussels launched by Brussels Airlines. According to the ministry, the increase in tourists from the Benelux countries was the result of its strategy that created increased tourist demand for Greece. The strategy included targeted agreements with leading tourism groups to steadily increase travel packages to Greece each year, negotiations with airlines that resulted to a significant increase in connectivity with new direct flights from four airports in Belgium to Athens and Greek regional airports and a tourism promotion campaign carried out by the Greek National Tourism Organization in the Benelux coutries.